The Bosch Group's automotive aftermarket unit plans to purchase SPX Corp.'s aftermarket services business in a cash deal valued at $1.15 billion. The SPX business, based in Warren, Michigan, sells diagnostic equipment, service tools, parts and software for auto dealers and repair shops around the world. It generates about $920 million in annual sales and employs 2,700 people in 17 countries, Bosch said in a statement. The deal is expected to close in the first half of 2012 if approved in the normal time frame by regulators. "Acquiring SPX Service Solutions will help make Bosch one of the leading providers of diagnostic solutions," Robert Hanser, president of the Bosch's Automotive Aftermarket division, said in the statement. "The acquisition will allow us to considerably expand our market presence in the diagnostics business, particularly in North America." Parent company SPX, of Charlotte, North Carolina, said the sale would help it focus on its other lines of business such as beverage and food processing along with power transformers for utilities. "Bosch is dedicated to the automotive service sector and has strong relationships with vehicle original equipment manufacturers worldwide. We believe Service Solutions is a very good strategic fit with Bosch," David Kowalski, SPX segment president, said in a statement. Bosch's automotive business, based in Stuttgart, Germany, ranks No. 1 on the Automotive News Europe list of the top 100 global suppliers with estimated worldwide sales to automakers of $34.56 billion in 2010. 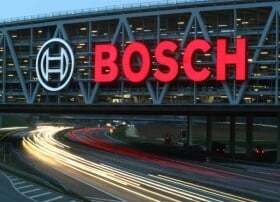 When including some other lines of business, Bosch said it generated revenue of $62.7 billion in its 2010 fiscal year and expects to post about $70 billion in revenue for its current 2011 fiscal year.